Matured in distinctive Spanish sherry casks to create a rich and mellow flavour, each individual cask is hand-selected for its flavour profile by our Malt Master, Brian Kinsman. Once selected, casks are married in our unique Solera vat, allowing their complementary flavours to get to know each other and meld together to create a single malt of extraordinary consistency and quality. 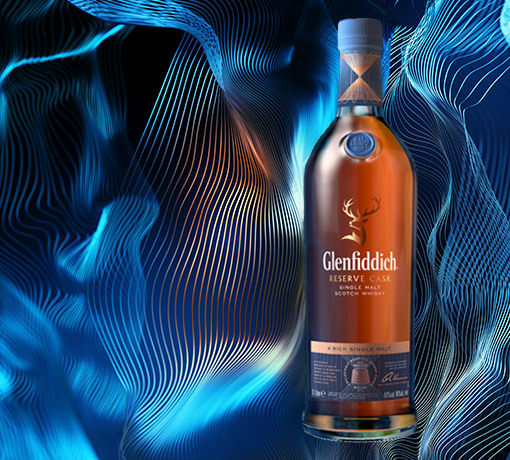 Deliciously smooth and silky, this expression has a sweet, spicy taste and a complex flavour that develops with each sip. A truly intriguing single malt. A bold, vibrant aroma with an abundance of spice and oak. Fresh toasted white bread with marmalade. Antique leather and parchment. Deliciously smooth and silky. The sweetness of the spirit and spice of the Spanish oak combine to give a complex, intriguing flavour that evolves in the glass. Very long lasting with an enduring sweetness. Developed by our fifth Malt Master, David Stewart, the Solera process was inspired by the sherry-makers of Spain. Individual casks are hand-chosen for their flavour before being married in a specially constructed Solera Vat, producing a single malt Scotch whisky that's incredibly complex and rich. The vat is always kept half full throughout the process, ensuring a balanced and consistent flavour. The calm, peaceful, even reverent atmosphere of Warehouse 8, home to our Solera Vat, is a must-see on any visit to our Distillery. For ten, twenty, thirty, in some cases over fifty years, some of our most precious casks rest here, developing character in the quiet warehouse. To create our Cask Collection, we've built three new Solera Vats, one for each expression -- the perfect anniversary gift to a Warehouse that celebrates its 60th birthday this year. To create our Reserve Cask edition, our Malt Master, Brian Kinsman carefully hand-selects individual sherry casks, reserved for their mellow and rich flavour characteristics which are then married in limited batches in our unique Solera Vat. The hand-selected sherry casks impart layers of warm vanilla, deep rich fruits and subtle oaky tannins for a truly rewarding single malt.